• The Torpedo is a metal twist-action pen with a medium ball point in black ink. 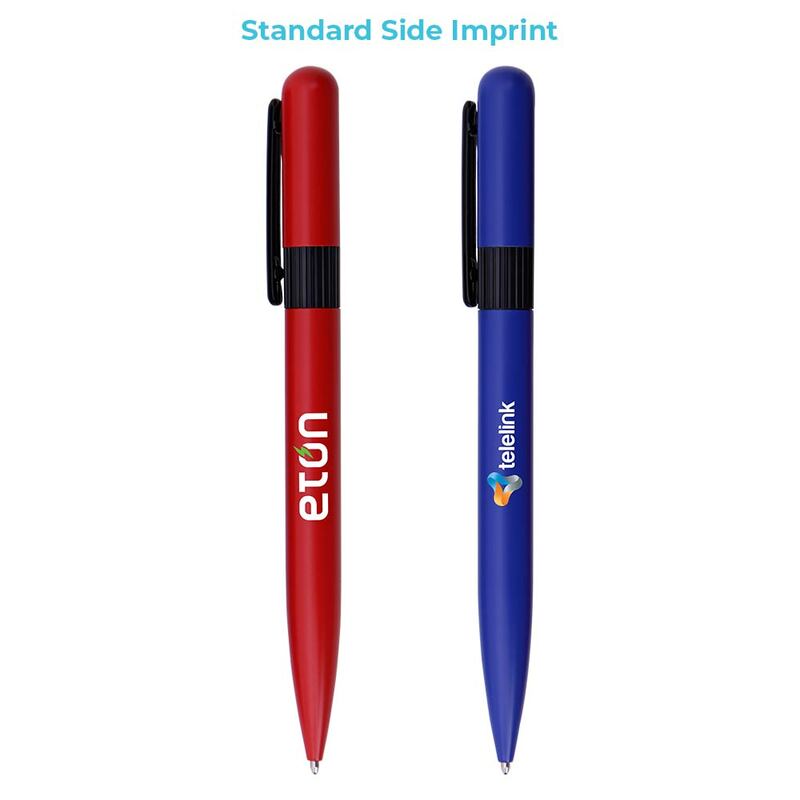 • This pen comes with a full color side imprint as the standard imprint area. 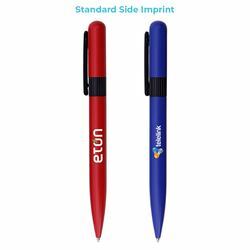 Price Includes one color one location side imprint. $55(v) per color/location. Additional colors/locations are $0.35(v)/pc/color/location, plus a $55(v) setup charge/color/location. Screen Wrap (Add $0.15(v) per unit). Full color side imprint - No additional charge.